In today's global cities, public urban space is constituted in my different ways. Residents in the same neighborhood may have very diverse types of knowledge about their shared public space: The children know the neighborhood at ground level, the tech designer knows the Wi-Fi coverage at the cafes, the homeless know about the night fauna. 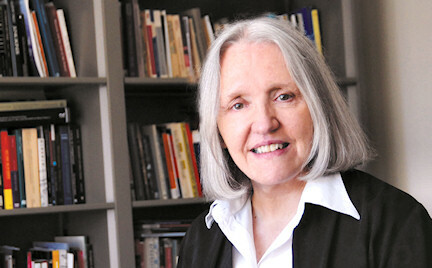 About Saskia: Saskia Sassen is the Robert S. Lynd Professor of Sociology and Co-Chair, The Committee on Global Thought, Columbia University. Her recent books are 'Territory, Authority, Rights: From Medieval to Global Assemblages', 'A Sociology of Globalization', and the 4th fully updated edition of 'Cities in a World Economy'. Among older books is 'The Global City'. Her books are translated into over 20 languages. Her forthcoming book is 'Expulsions: When complexity produces elementary brutalities'. She has received diverse awards, from multiple doctor honoris causa to being chosen as one of the Top 100 Global Thinkers by Foreign Policy and as the 2013 winner of the Principe de Asturias Prize for the Social Sciences.